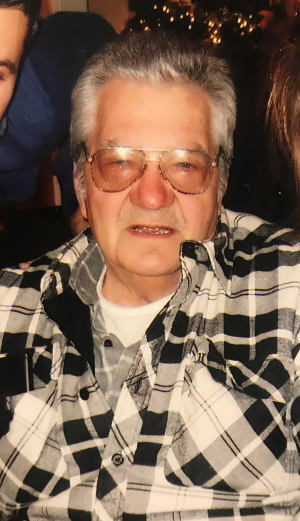 Robert R. Klier Sr., 82, passed away Monday, April 1, 2019 at his home in Union, NJ surrounded by his family. Robert is survived by his wife Marianne (nee Gambrino) after more than 50 years of marriage. He leaves behind his son, Robert Klier (Lina) and his daughter Jacqueline Petruzzelli (Louis). His grandchildren; Victoria, Louis, Anthony, and Bobby. He was predeceased by his parents and his brother, Franklin. Born in Paterson NJ, the son of Franklin and Mary (nee Skladowski) Klier Sr., he lived in Paterson and Newark before settling in Union in 1975. From 1955-1963 Robert was a member of the New Jersey National Guard Reserves. Robert worked as a Laborer for over 40 years, being a member of the Laborers Union Local 702 in Millburn. Prior to his construction career, Robert was a professional boxer in his prime. And was a member of the Lou Costello boxing club in Paterson, NJ. Nothing was more important to Robert than his family, especially his children, grandchildren, and dog (Sonny). Aside from spending his Saturdays at the racetrack, he enjoyed watching old films, teaching his grandchildren about history, and listening to Johnny Cash. Funeral from the Galante Funeral Home, 2800 Morris Avenue, Union NJ on Thursday at 9:00AM. Funeral mass on Thursday at St. Michaels Church in Union at 10:15AM. Visitation will be on Wednesday from 4:00 pm to 8:00 PM. In lieu of flowers the family prefers donations to his grandson’s (Bobby) school, Garden Academy Excellence in Autism Education, using the link below. Nostrovia Big Bob, Hasta La Vista Baby.